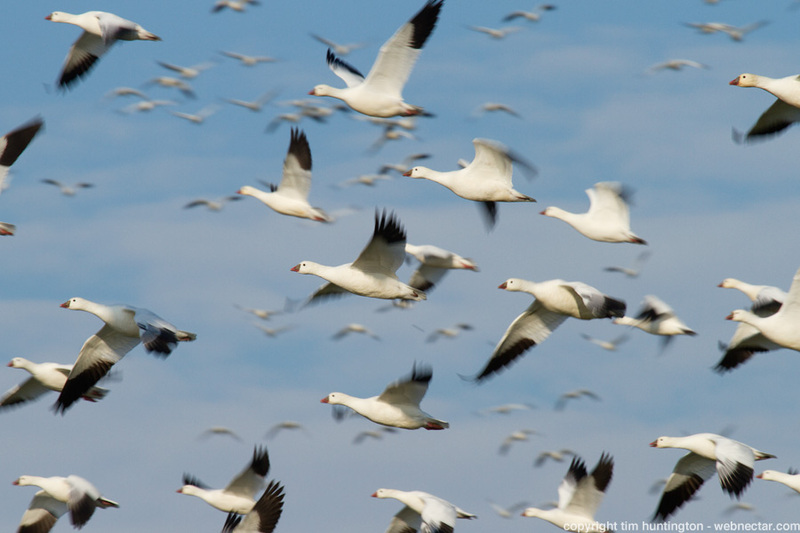 Ross' geese fill the air above Merced National Wildlife Refuge in central California. My typical experience with California's central valley has been crossing it to get from the coast to the Sierras or Yosemite. 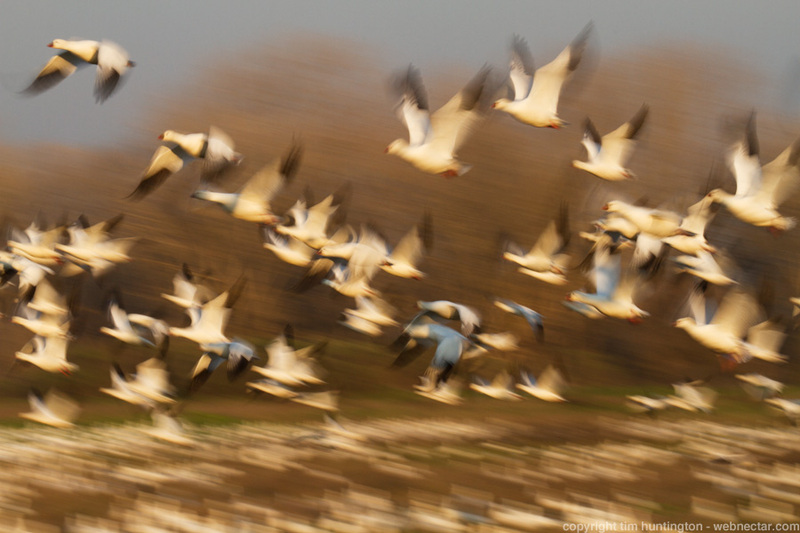 I had heard that parts of the central valley provide wintering grounds for large flocks of birds, but had never really done any research to see how it all fits together and to see how easy or otherwise it would be to see these birds. Thanks to friends and acquaintances who already knew what was going on, it was soon established that the Merced National Wildlife Refuge houses large quantities of geese and cranes during the winter and was only a two hour drive from home - how come it's taken me so long?! We arrived at 3pm and within a couple of minutes of our arrival, a large flock of noisy Ross' geese flew over us and off into a nearby field. My head got pooped on during that fly over and I took that as a good luck sign. All the geese had gathered in a field that one of the few walking trails at the preserve passes through, so we headed off in that direction and took the loop that would let us approach the birds with the late afternoon sun at our backs, perfect for taking photos. The birds are easily spooked, so we approached carefully to find out how close we could be without freaking them out and then we stayed that far away (though during the 90 minutes or so we were there, the birds approached us). We still got to see mass take offs as a nearby passing truck honked its horn and a couple of other photographers on the road outside the refuge managed to spook birds too. It soon became apparent that trying to do this spectacle justice with a camera was impossible, so I decided to try and convey the mass of birds and the seeming chaos of their lift offs with a slow shutter speed. 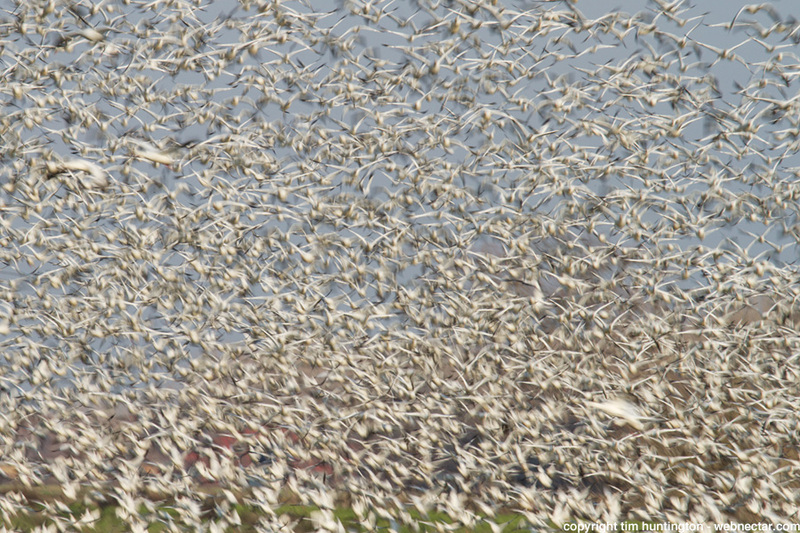 The mass of birds in the image above were shot at 1/60th of a second. When I'm trying to follow birds with a slow shutter speed the result is lots of misses and very few hits, so I took many photos. The photo below showing geese taking flight as others remained in the field was taken at 1/25th of a second, as slow as I shot. We stayed until the sun had set and then came back the next morning in the fog to see what else was there and we got to see lots of waterfowl, different sorts of geese, lots of hawks and a couple of owls as well as the lesser sandhill cranes that also call the refuge their winter home. 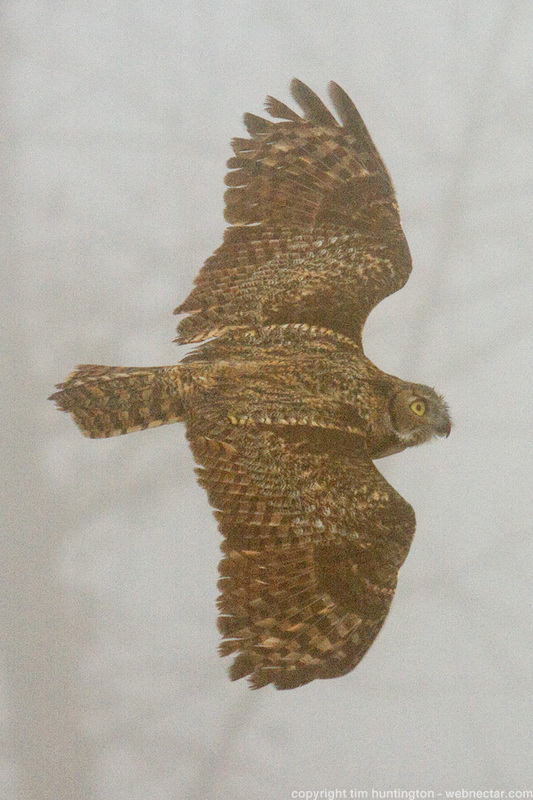 Below is a great horned owl that flew by in the fog. 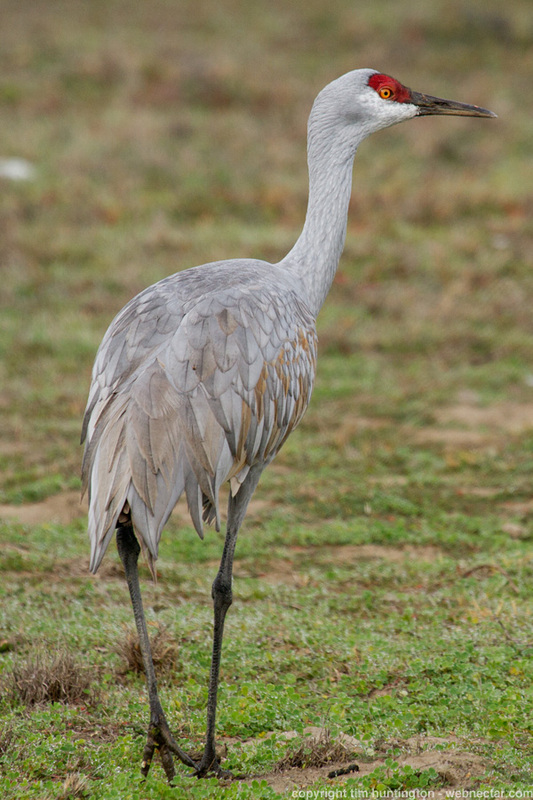 One of many sandhill cranes that winter at the refuge. A very cool place I didn't even realize was there until recently. Well worth a visit.